Whether it's an outfit or a makeup look, monochrome is in! Almay Shadow Squad Eyeshadows provided four different finishes which can be worn in many different ways. The eyeshadows have a very soft, velvety formula. They are easily blendable and although they seem to be a bit sheer and not very pigmented they are buildable. I was able to go for a more light eye makeup approach but also pack on the shadows to create a bolder look. The shadows stayed on throughout the day with little-to-no fallout. 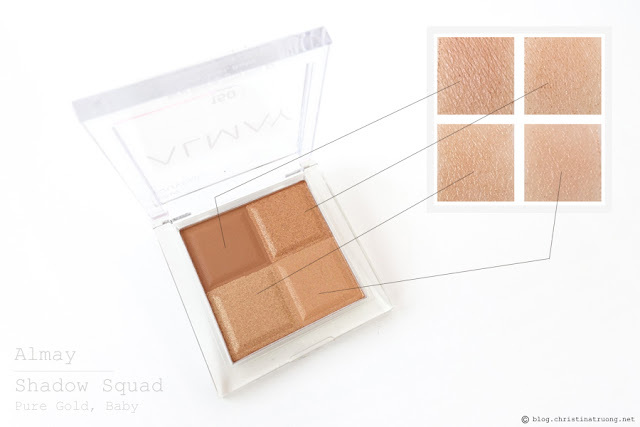 Pure Gold, Baby is literally a gold shadow quad. The Matte and Metallic shade were the most pigmented and buttery, whilst the Glitter and Satin shades were more on the sheer side. Overall, it's a great product if you're looking for a monochrome eyeshadow quad. Above picture: I used Metallic as an all over base, Matte on the outer corner, Satin on the inner corner and packed the Glitter shade on the center of the lid. I also mixed the Satin and Glitter and ran that under the bottom lash line. 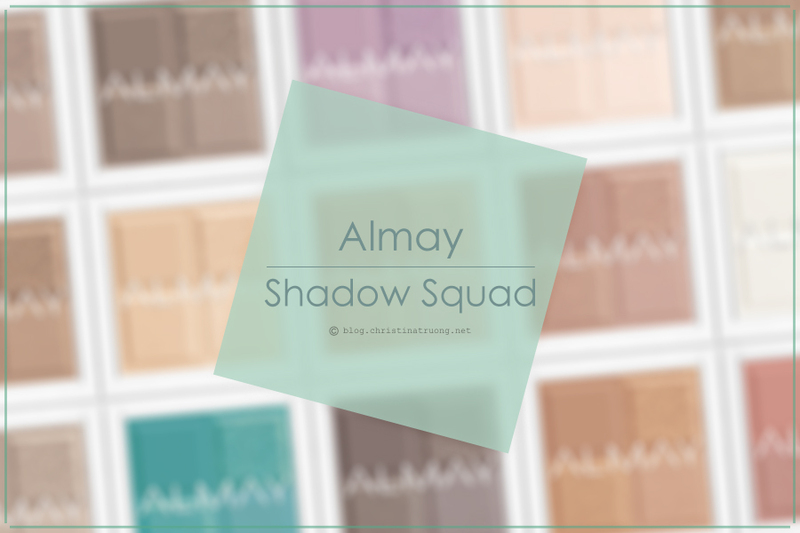 What are your thoughts on Almay Shadow Squad? 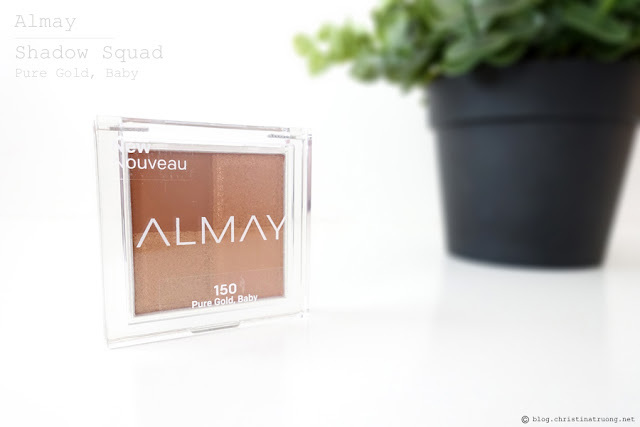 Have you tried any products by Almay? Are you a fan of the monochromatic eye makeup look? Disclaimer: Products complimentary from Glam Sense for review purposes. Views expressed are honest and of my own.